To be honest it’s a pretty dissappointing week in the UK however the USA is treated to the Tom Cruise film American Made which came out a few weeks back in the UK. However fans of Reese Witherspoon may well be interested in her latest comedy/romance film, Home Again which opens in cinemas this Friday. Let’s go through all of the new releases along with their respective film trailers; here are the cinema releases for September 29 2017 in the United Kingdom, United States, Australia and New Zealand. 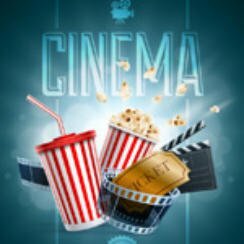 What movies/films have we all been watching over the last week, time to find out as we take a look at the Top 10 Box Office Films in both the US and UK. I can tell you 20th Century Fox should be quite pleased with both UK & US charts this week. I remember enjoying the original Flatliners quite a bit upon release and therefore feel no need to revisit the story from a remake’s perspective. Generally as a rule I don’t agree with remakes but I do have a few exceptions. I think I will detail my opinion/position on the whole remake topic in a feature article in the next week or so.